Alishia received a Doctorate of Physical Therapy from the University of North Dakota and a Bachelor of Arts in Biology with an emphasis in Health & Medical Sciences from Minnesota State University Moorhead. She has worked with children with special needs and typically developing children in various capacities, including daycares as well as a local respite care company. 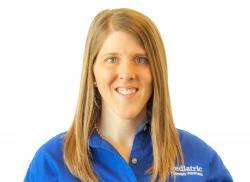 She is interested in gross motor skill development as well as neuromuscular rehabilitation in children of all ages. Alishia has additional training in aquatic therapy through Aquatic Therapy University and is excited to explore more opportunities in this area.